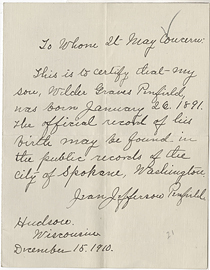 Statement of birth of Wilder Penfield by his mother, December 15, 1910. 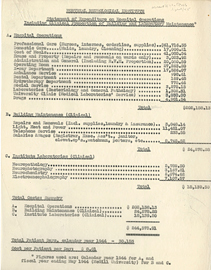 Statement of Expenditure of Hospital Operations. 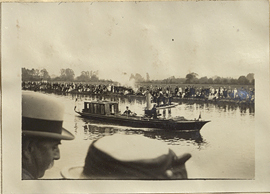 Steam Boat on the River Thames, photograph. 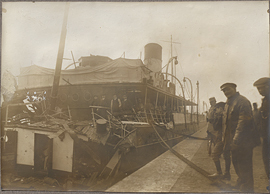 Stern of S. S. Sussex after torpedo attack in 1916, with human casualty annotations, photograph. 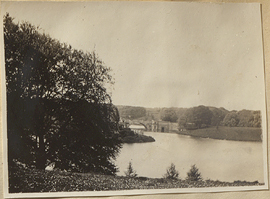 Stone bridge over the River Glyme at Blenheim Palace, photograph. 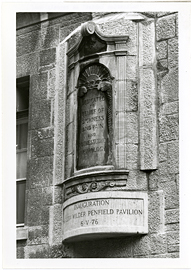 Stone carving and inscription, photograph. 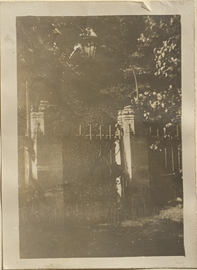 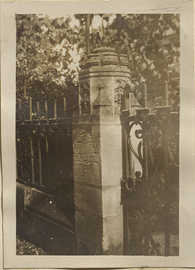 Stone Gate Post and Gate, photograph. 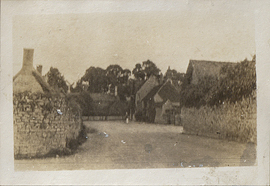 Street in the village of Wytham, photograph. 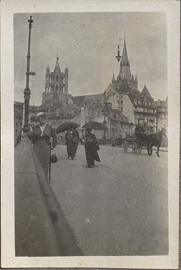 Street view of Cathédrale Notre-Dame de Lausanne, photograph. 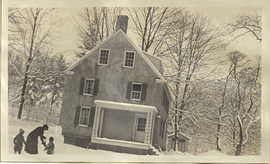 Stucco House in the Snow, photograph. 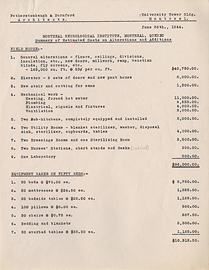 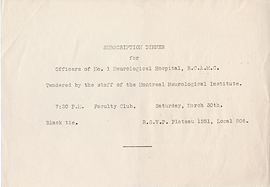 Summary of estimated costs of Alterations and Additions to the Montreal Neurological Institute, June 26, 1944. 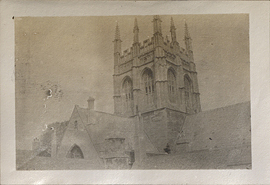 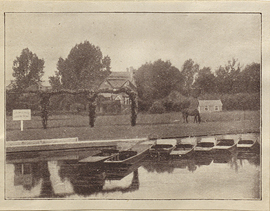 Sunnymead (off Banbury Road in Oxford), photograph.